Make a Light-based Instrument with Arduino #Arduino #MusicMonday « Adafruit Industries – Makers, hackers, artists, designers and engineers! Ever wanted to build your own electronic musical instrument? In this Instructable, I walk through the build process for my Illumaphone, a light-based, spatial musical instrument that I built for Jeff Snyder’s Computer Music class at Princeton. It consists of six coffee cups. Wave your hands over the air to trigger notes; light levels control volume and vibrato. 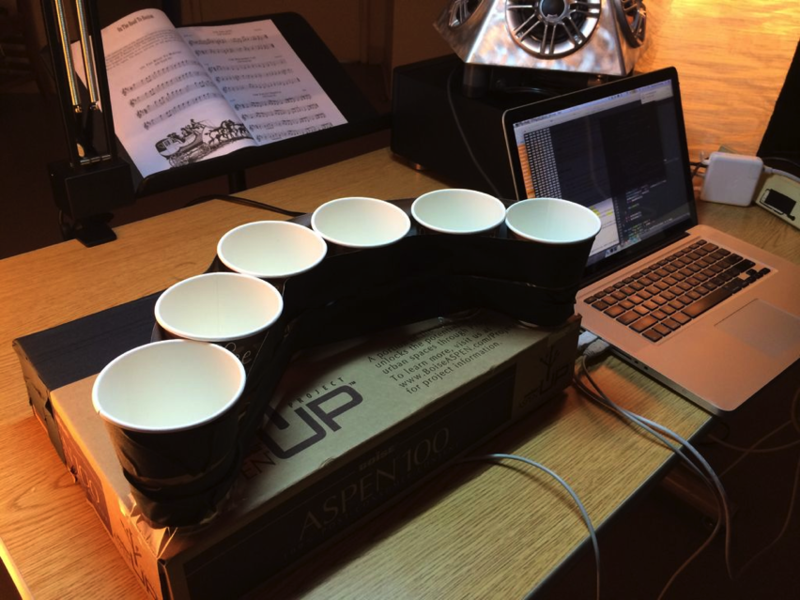 Each cup represents a different note.